XBOX One S: Is Upgrade Worth? Home Game Xbox ONE S: Is Upgrade Worth? XBOX One S: Is Upgrade Worth? 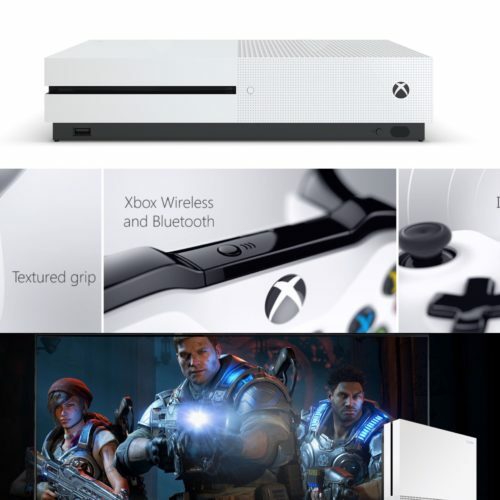 :After a span of three-year Microsoft finally launch XBOX ONE slimmer model called as Xbox One S as you heard “S” will make you think about Apple iPhone lineup which has same old design and tech upgrade from inside this formula is also applied to this Xbox One S as new Xbox One S is simply slimmer version of Xbox One with some internals upgrade including new design pattern, new power supply, new 4K output and more. While an earlier version of Xbox One is also not become too old as we take a look of this device has a slimmer design and textured body so the shifting device won’t cause any marks on it. But there is not much difference you feel while using as the daily drive. But let see how this device makes its mark on markets. So without further do let’s see what’s new in it. 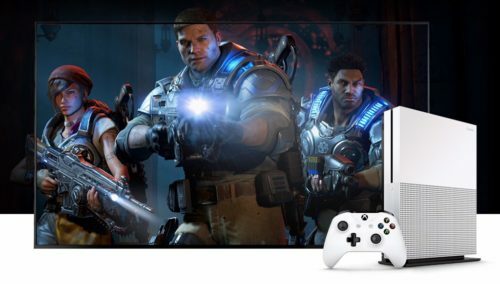 From the first sight, device looks nice upgrade from the previous version Xbox One with 40% slimmer design and new pattern with the color of black and white looks nice. As we compared with PS4, Xbox One S has almost same form factor as PS4. With approx same measurement but the design of PS4 is still better with its edges looks nice while Xbox One S still looks like a box. Xbox One S also has the new stand to stand device vertical as like PS consoles which take less space. Xbox One S comes with new button to power up device which is better upgrade from previous button which accidentally powers up but this won’t. But from inside this is not same as we compared it with PS4 or XBox ONE as it has new 4K video streaming services using Netflix and other apps, new HDR game support as HDR games are still not available and the new controller works with another Bluetooth devices too including PC, Tablet or Smartphones. While these things won’t look like gamer want every day as there are not any title which includes HDR. HDR make content more diverse in all aspect as colors looks deeper and night effect feels more soothing. The controller of XBox ONE S also got the new look and feel as it has same design pattern as the console with textured grip handle so grip is more while you playing. The new controller also able connect with any devices you want including PC, Tablet or Smartphones. Controller has also got more exceeded range so you can sit and relax while connection won’t stand against your comfort. Additionally, Xbox One S has a new drive space option which extends a device to storage up to 2TB so won’t have delete content for installing other content. Xbox One S also have a power supply of it own so it’s manage power and stop if it’s over exceed. The device also got IR blaster so you can manage any wireless content like your TV or network all lies inside one device. The interface of Xbox One has refined much from initial release with much more improvement toward gaming as the new control bar, Windows 10 integration, Cortana for XBox and much more which make this device more amazing. The store also has many interesting things in it which include Apps,Games or Movies which really made this device entertaining too. Xbox One S is nice updated version of XBox ONE which include these stuff which we discuss. This device is only for the user who are new to this while the user who has XBox ONE earlier won’t any need to upgrade this console as XBox ONE is also sufficient for all gaming and we hardly find any difference except running 4K content. While this device also needs a 4K TV from which it able to work full functional otherwise it just a XBox ONE. This device is available from August at approx $399 for 2TB model. While for review of this device please be connected as we shortly review this device as it has launched this month. Apart from these Microsoft also ready make space for their next venture which is called as project Scorpio which is gonna arrive in late 2017 which include all new gaming engines and new much more. So stay tuned for more and won’t forget to subscribe us down below.